Red Sparrow (film, 2018). A 2018 American spy thriller film with "R" rating by 20th Century Fox. Directed by Francis Lawrence. Official Trailer. 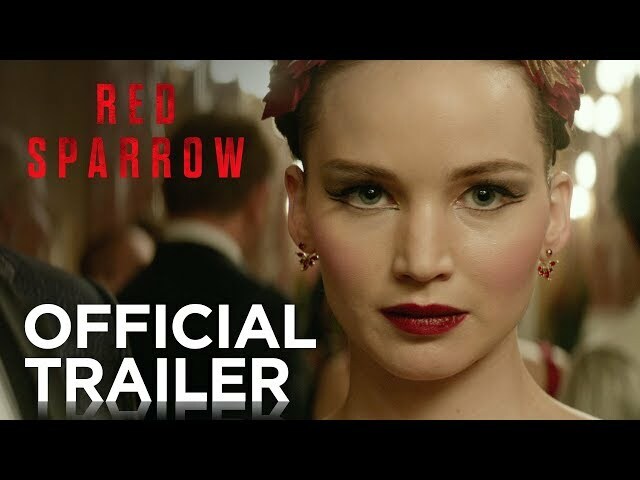 Red Sparrow is a 2018 American spy thriller film directed by Francis Lawrence. 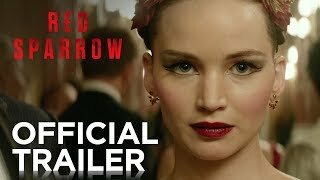 Red Sparrow | Official Trailer | 20th Century FOX. In modern-day Russia, Dominika Egorova is a famed Russian ballerina who supports her ill mother. Following a career-ending injury, Dominika is approached by her uncle, Ivan, the Deputy Director of SVR. She is tasked with seducing Dimitry Ustinov, a Russian gangster, in exchange for her mother's continued medical care. As Ustinov rapes her, he is killed by Sergei Matorin, an SVR operative authorized by Ivan. Ivan offers Dominika a choice to begin working for the SVR, or be executed so there are no witnesses to Ustinov's death. Nate Nash is a CIA operative working in Moscow. While meeting with an asset in Gorky Park, they are confronted by the police. Nash creates a diversion to ensure his asset, a mole in Russian ranks code-named Marble, escapes unidentified. Nash is reassigned back to the U.S. but insists that he is the only individual whom Marble will work with. Since he cannot return to Russia, he is assigned to Budapest, where he will regain contact with Marble. Dominika is sent to State School 4, a specialist training schools for 'Sparrows', SVR operatives capable of seducing their targets with sexpionage. Dominika excels in her training, despite some friction with her trainers, and she is assigned to Budapest. Meanwhile, the SVR has been tracking Nash, and hopes to find out the identity of Marble. Dominika's assignment is to gain the trust of Nash, and reveal his contact. Upon her arrival in Budapest, Dominika lives with Marta Yelenova, another Sparrow. Her boss in Budapest is Maxim Volontov. Dominika quickly makes contact with Nash, who correctly determines that she is a Russian intelligence operative. Dominika reveals her true identity to him, as well as her motive to find out Marble's identity. Dominika inspects Marta's room, and realizes that she is working to gather information from Stephanie Boucher, the chief of staff to a U.S. Senator. Dominika claims to her uncle that she is helping in Marta's effort to gather information from Boucher. Principal photography started in Budapest and Dunaújváros in Hungary on January 5, 2017. 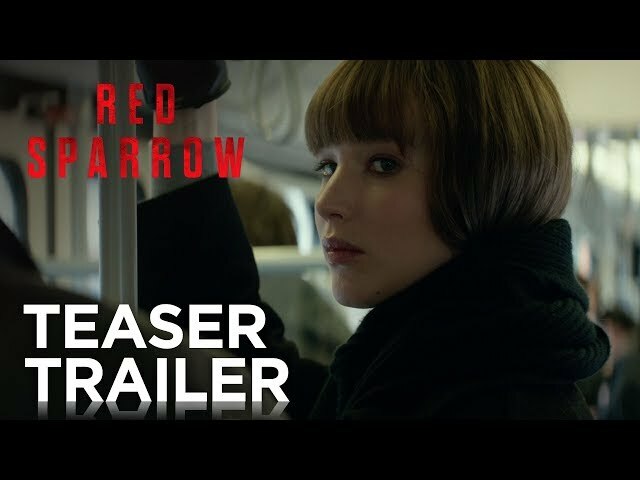 The film Red Sparrow was scheduled to be released by 20th Century Fox on February 15, 2018 (Newseum), on March 1, 2018 (Germany), on March 2, 2018 (United States, Turkey) and on April 4, 2018 (France). The duration of the film is 140 minutes. With a budget of $69 million, the film grossed over $151.6 million. Red Sparrow got average rating from critics. The audience dislikes the film either. Audiences polled by CinemaScore gave the film an average grade of "B" on a scale ranging from A+ to F.